Harvey Millar, a Saint Lucia born hip-hop and funk jazz guitar player, plays at the 2012 Halifax Jazz Festival in the open tent on the waterfront. 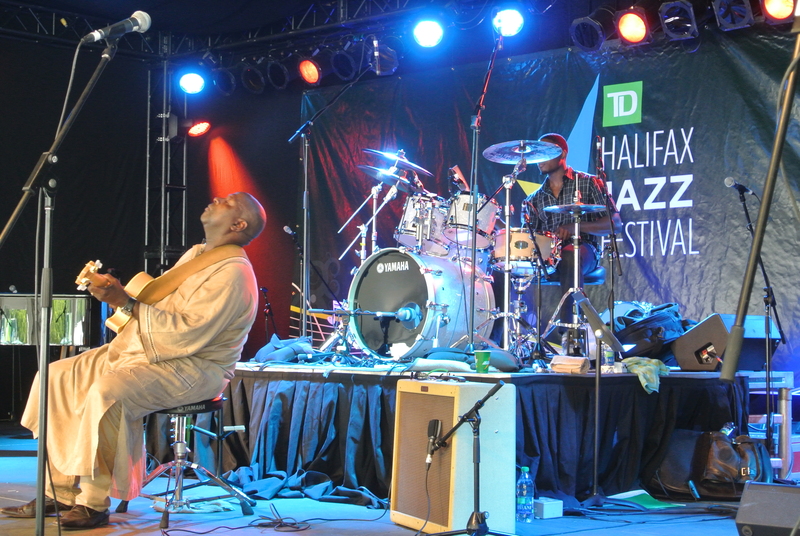 The Halifax Jazz Festival is a grassroots event with eclectic jazz artistes. Each year it blends the old and the new, Celtic with Flamenco , French Gypsy music with classical guitar, folk with rock and fiddle with punk. The midday tent is free to all that pass by and several patrons choose to sit on the beach and listen to jazz. Harvey follows R&B singer Sheldon Gordon who returns to Halifax to meet up with sister, award winning Blues singer Linda Carvery who is also participating in the festival. Sheldon Gordon wins the hearts of everyone by jumping off the stage to grab his mother for a dance. Dr. Harvey Millar, who was born in Saint Lucia with some Barbadian roots, is now a Canadian national. He holds a Bachelors degree (Honors) in Industrial Engineering from the University of the West Indies. He earned a Masters of Applied Science in Industrial Engineering in 1984 and a Doctor of Philosophy in Industrial Engineering in 1990 from the Technical University of Nova Scotia. He is also a tenured Professor in the Sobey School of Business. Dr. Millar has presented his research at over 40 international conferences in Canada, The USA, Europe, South America, Mexico, Africa, and the Caribbean. When he is not working on research, teaching, or presenting academia, Dr. Millar can be found composing jazz or entertaining fans with his funky hip-style of music fusion that fits well with the Nova Scotia experience. 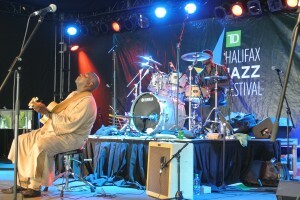 He is a 5-time music award winner, winning two East Coast Music Awards and three African Nova Scotia Music Awards. Dr. Millar’s approach to life is guided by a favorite African proverb which states, “when spider webs unite, they can tie up a lion”.